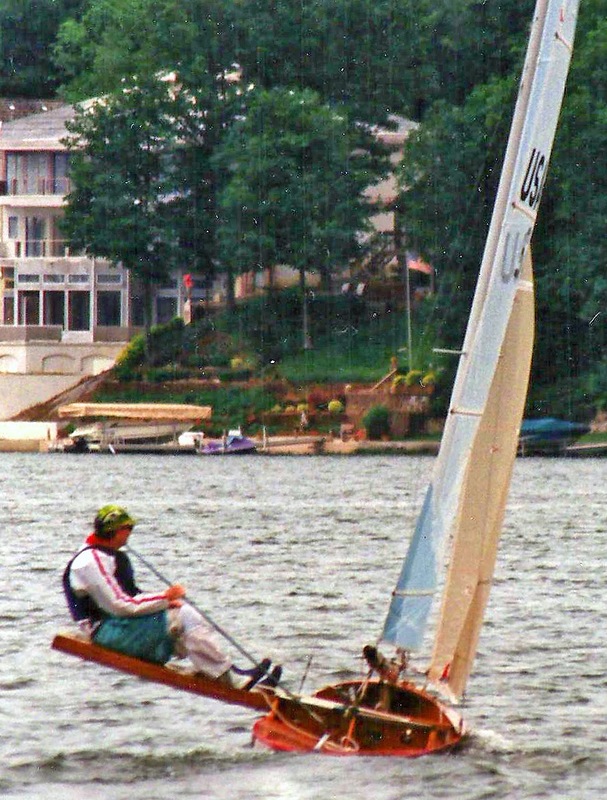 A well done compilation of all manner of small sailboat fails. One segment at the 2:21 mark has the Laser skipper just giving up and kicking himself out of his Laser. Another gymnastic type does a beautiful front flip from the high side of a capsized 29'er at the 4:00 mark (one of those flexible junior sailors). Click Here for Capsize Medley, Part 1. Nope, I wasn't the one to get out on the water last weekend but here are two videos of families that devoted part of Easter Weekend to kick around in some smallish daysailors. The first video is, I think, from Holland. Definitely looks chilly but the sail area was kept very manageable on, what looks to be, a fiberglass Drascombe Lugger. Sailing from Kees Plattel on Vimeo. The next one is definitely from a warmer clime; a daytrip to Carnac Island off the West Australian coast. 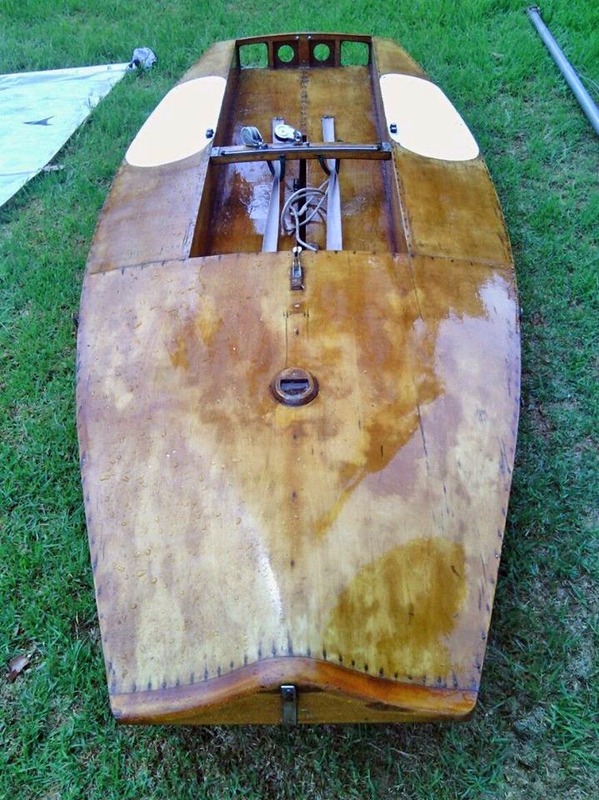 The boat is a similar type to the Drascombe Lugger, a plywood Welsford Navigator. Close Encounters of the Seal Kind from David Broun on Vimeo. Throwback Thursday: International Canoe US 132 "Rosie Cheeks"
Sometimes the question of what next to post on this blog just falls into your lap. Case in point - Andre' Cloutier of Ravenwood Canoes up in Canada posted last Sunday about a 1980's International Canoe he now owned and was intending to restore. As I perused the post and looked at the pictures I realized this was the last International Canoe I owned, US 132, Rosie Cheeks. Originally owned by Chris Converse, who built the aircraft plywood interior into a single skin King Ferry fiberglass hull, this was one of the top U.S. International Canoes in the 1980's. As soon as I got on the water, my speculation was confirmed. US 132 was just not up to snuff with the fleet. But the International Canoe is a fun dinghy to just sail, really a neat ride, especially upwind, that I still have fond memories of US 132. I found some pictures of my last travel regatta in International Canoes. Chesapeake fleet stalwarts, Bill Beaver, George Saunders, and I went out to Geist Reservoir, Indianapolis, Indiana for the U.S Nationals. It was intended to support the small Midwest fleet but the turnout was not good. We had, if I recollect, about 9 International Canoes, that sailed the weekend in very little wind. Rosie Cheeks finished somewhere middle but like all road trips there are some great memories. 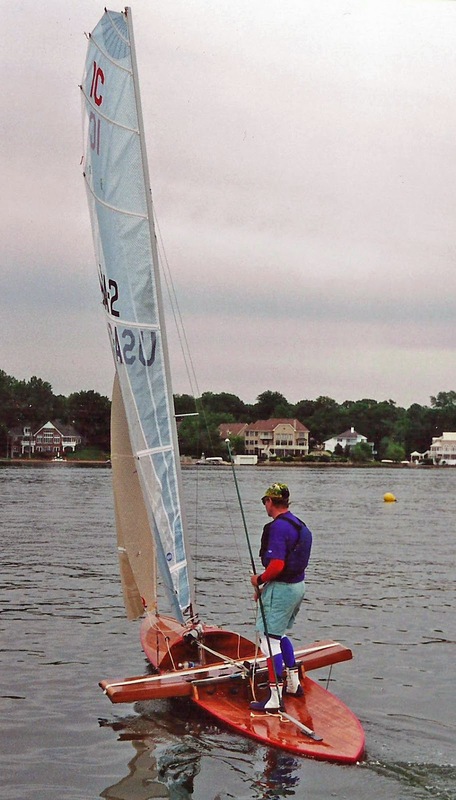 International Canoe sailors do a lot of standing up between races when the wind is light. There was some breeze after the racing concluded. This was typical of the racing. I'm trying to hold off my two Chesapeake team-mates in their two carbon/honeycomb hulls (plus, as I stated above, my rig was undersized). Didn't work for too long. Most of the fleet scattered over the Indianapolis Sailing Club lawn. 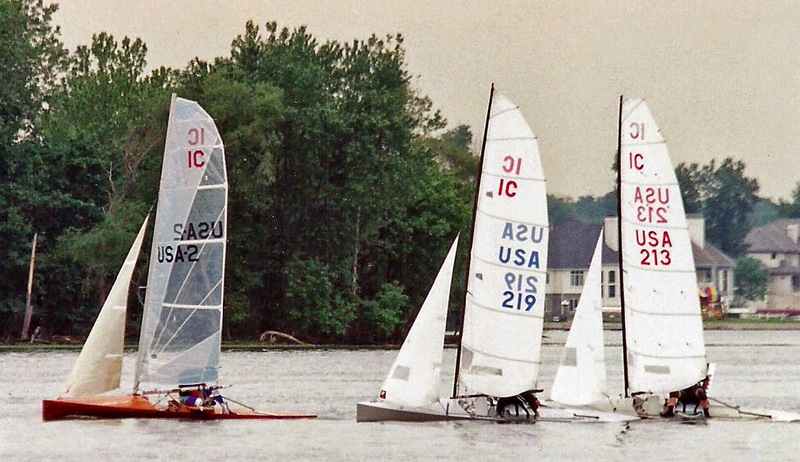 I came back from this regatta convinced, with some remorse for the International Canoe is a great dinghy, that given the reduced time and money I wanted to put into competitive sailboat racing, the Classic Moth was where I would devote my efforts. A day after I posted the plans for the Len Morris Mk II scow, pictures were posted on the scow Moth Facebook group of a Mk II that had just come on the market in Australia. This one was built with the flow-thru cockpit; the original design had a tub cockpit, which indicates this particular Mk II could have been built in the early 1950's. 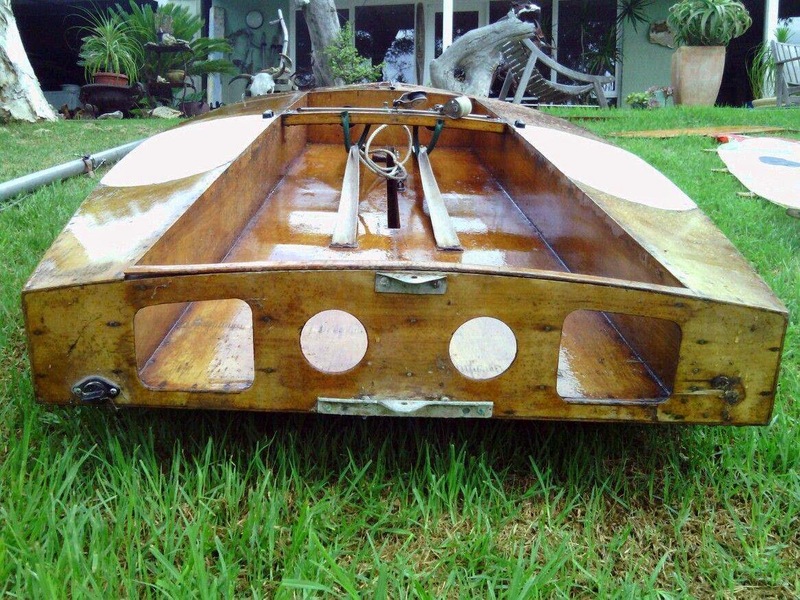 From the bow, the distinctive humpy nose block which gave some structure to the forestay attachment. A transom view. You can get a good look at the absolutely flat bottom of the Mk II. The flow-thru, double bottom cockpit was very radical in the dinghy world at the time this Mk II was built. It would be another twenty years before the International Moths started adopting them. (though a historian would say the sailing canoes had them 120 years ago). Starts out with a great bluegrass jam "Coffee Creek" and then segues into the classic "Wild Bill Jones". THE SLOCAN RAMBLERS - Coffee Creek / Wild Bill Jones from Southern Souls on Vimeo. Someone out there in Blogville has decided that Thursday should be the day to feature old stuff - most likely Tillerman's idea as his blog is where I've picked up Throwback Thursday as a regular feature. This seems to something worthwhile to occasionally emulate on Earwigoagin (when the spirit moves). 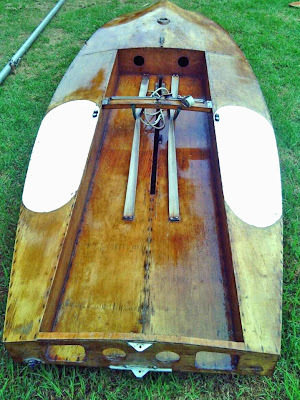 Recreational rowing is the oldest modern amateur watersport, with clubs proliferating in the U.S. just after the Civil War. Boathouse Row on Philadelphia's Schuylkill River is a neighborhood of river-front rowing clubs. 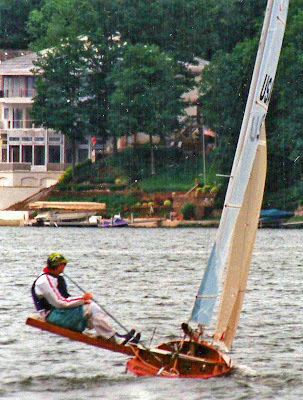 One of these clubs on Boathouse Row, Vesper Boat Club, founded in 1865, and featured in this following video, is probably the most storied rowing club in the U.S.
Vesper Club...A Classic Venue from BNProducers on Vimeo. I've chunked the plans for Len Morris's Mk II scow Moth into a loadable PDF format below. 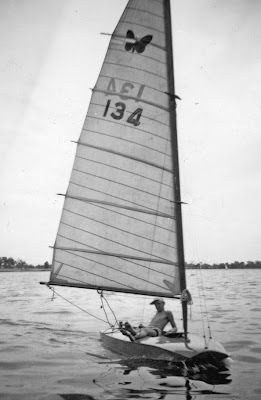 Len Morris's Mk II was the post-WWII design that would spread the scow Moth into every corner of Australian dinghy racing. 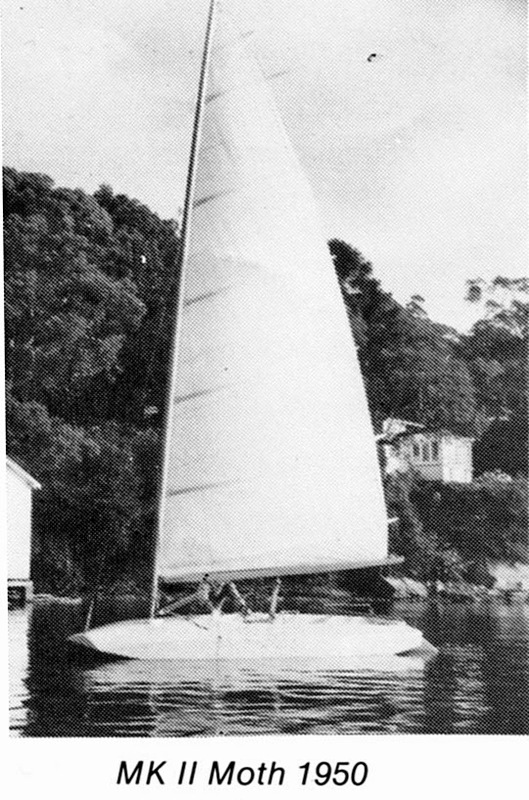 A boxy, flat-bottomed design, hundreds of Mk II's would be built and this design would also spawn the one-design New-Zealand scow Moth, where hundreds more of this class would be built. The Australians from day one favored a high aspect (17-foot luff) sail plan-form compared to the lower aspect (15-foot luff) of the then International Moth (now our U.S. Classic Moth). Click here to view a Mk II in the flesh.